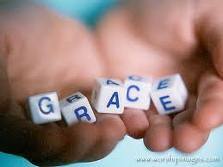 Spiritual leadership Principle: This principle says that leaders need the grace of God. Especially when they make mistakes and fail. When a leader makes a commitment and fails to follow through with it, they should repent and ask for forgiveness to both God and the person they made it with. When grace is needed a leader needs to get back up and keep going. When leaders get up after a failure they have a better chance of succeeding. The failures of the past are often the stepping stone of the future. Leaders can learn and grow through failures. A leader needs to understand and walk in the grace that is given by God. God wants leaders to be a receiver and giver of grace. Peter was a disciple of Jesus for over 3 years. During that time the disciples traveled, ate, spoke, joked, and was with Jesus on a daily basis. Also during that time the disciples saw Jesus teach and heal. Most of the those days were spent with one another. With the amount of time they spent together, the disciples and Jesus were close and knew each other well. They built a very deep relationship between themselves. In fact Jesus trained and developed the disciples by teaching them and setting the example. Being with each other that much and knowing each other’s strengths and weaknesses brought both times of joy and frustration. Grace was needed throughout those years together. Grace means, “to forgive, cancel (a debt) and favor”(the Greek-English concordance, John R. Kohlenberger2) and is exactly what Peter needed. After the rooster crowed he knew he failed and showed he needed grace by breaking down and crying and feeling remorseful for what he had done. After Jesus had resurrected, he went back to Peter and showed him grace and forgave the commitment that he had made and failed to follow through with. No matter how bad Peter had failed during or after Jesus was on earth, Jesus was willing to forgive and show grace. Peter like all leaders need to have that type of grace upon our life. No matter what we say or how bad we fail we need to know that God’s grace can cover us. We need to know that even in the mist of failure God is able to show grace. Peter used this grace to successfully expand the kingdom of God. Leaders should remember that grace in failure equals future success. The grace that was shown to Peter equaled success and the grace that is shown to us could equal to our success. But we need to remember to grab a hold of grace during times of failure. Peter like all leaders need and are able to have that type of grace in spite of failure. Peter was taught that even in the midst of failure God is able to show grace. A leader needs to choose to use their failures as stepping stones, this can be done through the grace God shows upon his people. If you are a leader you will have to grow through God’s grace when you fail. First, Peter made a commitment by saying that he would not deny Jesus. This could be any type of commitment that we would make with someone. No matter if it was a small or large commitment made between a manager or business partner. Second, Peter broke the commitment by denying Jesus three times. This is when we don’t follow thought with the commitment. Third, After denying Jesus Peter heard the rooster crow. Leaders need to realize they broke the commitment, which is sometimes hard to notice. Fourth, Peter went to weep; which is a sign of repentance. When we fail in a commitment we have to go to the people that we broke it with, ask their forgiveness and make things right. If it was with God we need to have the same response that Peter had. Fifth, Peter received grace when Jesus came and restored him. We need to be humble and be in a place to receive grace. Leaders need to ask forgiveness and then live with whatever circumstances come. Sixth, Peter adjusted himself with the commitment again, Jesus told Peter to “feed his sheep and lambs”, which meant people. After Jesus ascended into heaven Peter adjusted himself to Jesus by growing the church and helping people. When we fail in a commitment we need to adjust ourselves with the commitment, if possible. Lastly, Peter pursued the commitment by building the church and telling others about Christ. We need to pursue the commitment again and learn from past failures and mistakes. It allows us to fail: Knowing that we have grace from God and others will lift the burden of trying not to fail. It will give us the assurance of trying something that we know might not work, but that is worth the risk. If we know that we have grace we also know that we can and are able to fail. It lifts us up from a failure: Knowing that we have grace can lift us up and out of a failure. It also gives us encouragement to try again and to keep going. A lot of times people are down for the count the first time they encounter failure, that is due to them not being able to let grace lift them up. Grace can and will lift us out of failures, because if we understand that we have grace to fail, there is no reason to stay where we are at. Grace can raise a leader up and out of a failure. It gives us an example of how to treat others: The grace in a leader’s life can help the leader show grace to others. Leaders need to understand the importance of showing grace to others. A leader will never receive God’s grace if they are not showing grace themselves. Grace upon a leader’s life sets the example of how they should treat others. Leader’s first need grace and then need to show grace to the people who follow them. It shows us that we can’t lead without it: Grace is something a leader needs in order to be successful. We can’t reach our maximum potential without God’s grace in our lives. God has shown grace to us in the midst of failures and expects us to be leaders who show it as well. Leaders who show and have grace can influence other people. Leader’s need to know that they can’t lead without grace. * Leadership principle: As a leader you need the grace of God during times of failure.